"Skillfully pilot the advanced Graceful Explosion Machine (GEM) fighter while blasting swarms of crystalline enemies with your ludicrously overpowered quad-weapon array! Lost in deep space, you'll shoot, dash and combo your way through jewel-hued alien worlds, fighting to find a way home." 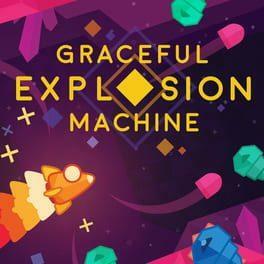 Graceful Explosion Machine is available from 12.99 to 12.99 from 1 shops.